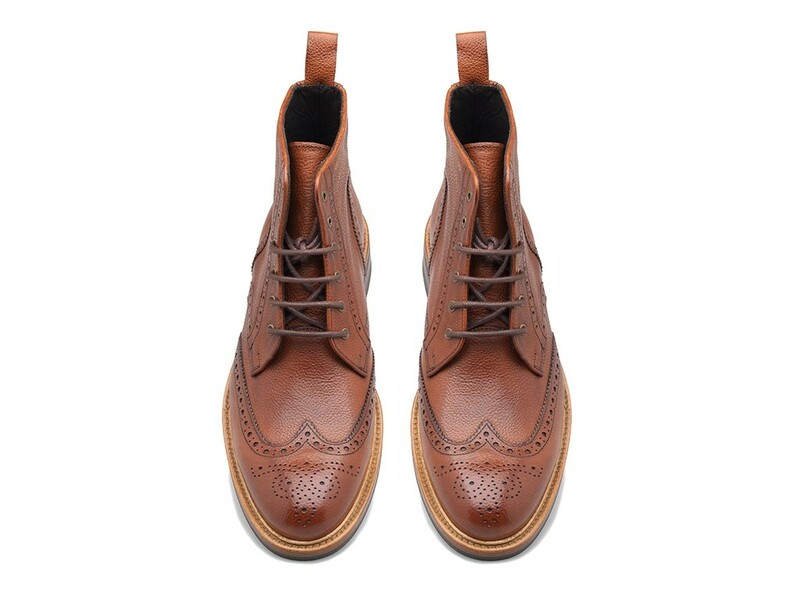 Our bold but classic lace-up boot has been crafted from hand-aged leather and features a hard-wearing rubber sole. 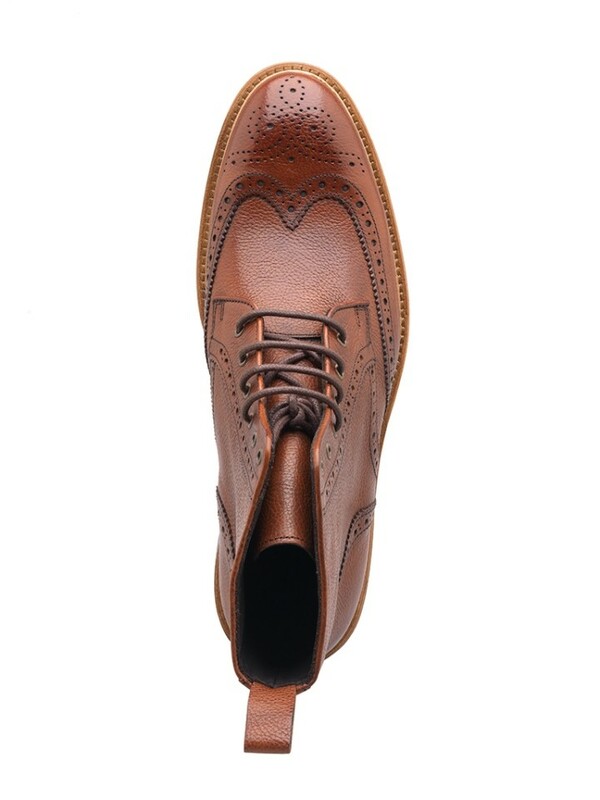 Displaying intricate punching detail along the edges of each peice and a classic floral brogue on the toe. Due to being composed using the Blake construction technique, this boot delivers both logevity and comfort.